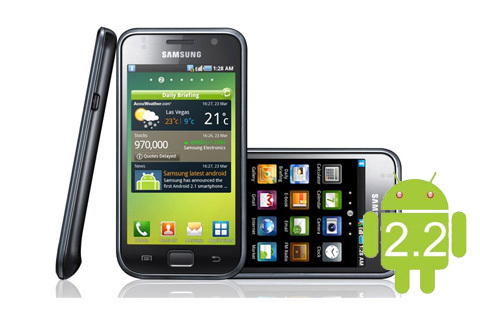 Samsung announced recently that it’ll be updating the Samsung Galaxy S with Android 2.2 in mid October but that hasn’t happened yet and needless to say, eager users are getting restless. Now Samsung has released a new approximate date for the much awaited Froyo update for the Galaxy S and this time it’s early November. Samsung revealed that it’s currently testing Froyo with all UK operators and that the update will be made available to all Galaxy S phones through Samsung’s in-house download manager and upgrade program Kies. This means that it doesn’t matter which carrier/service provider you’re using, the update will be available to you directly from Samsung. Samsung has already updated the downloading software and UK users can download it to their mobiles from samsungmobile.co.uk. Though there are no exact dates of the roll out but Samsung promises that all upgrades will be rolled completely by the end of November. It’ll be available to other European markets, Southeast Asia, the Middle East Asia, North America, Africa and the rest of the world soon after the UK release. •	Google Maps with Navigation. •	Adobe Flash Player 10.1. •	Setup Wizard to quickly customize the Galaxy S and access networks easily. •	Home Screen / Menu Preview and Edit. •	Search in-Browser: Google, Translate, Wikipedia & Dictionary.